A few years ago, we collaborated with Soundwave Productions on a set of van graphics. This business handles your DJ, lighting, and wedding entertainment needs. When only live mixing and personalized service are your style, this is your go-to company. Because the business opted in to receive our newsletters, the management team saw the wall graphics we recently did for QCD’s logistics center. They were impressed and wanted something similar. Add flair and your brand to your offices with wall murals! We met with our clients and visited the location for a site survey. The office and conference room inside the space were painted nicely but lacked pizzazz. Our experts worked with Soundwave Production's management team to select stock photos that would encapsulate the business’ brand message. They fit the DJ theme perfectly by featuring turntables. We incorporated the company’s name and logo into the mix as a record label. Our technicians printed the murals with our high-quality equipment on 3M cast vinyl, which turns out amazing images. They are vibrant, lifelike, and bold. After performing a wall surface test to ensure excellent adhesion, we prepared the area and began the installation. 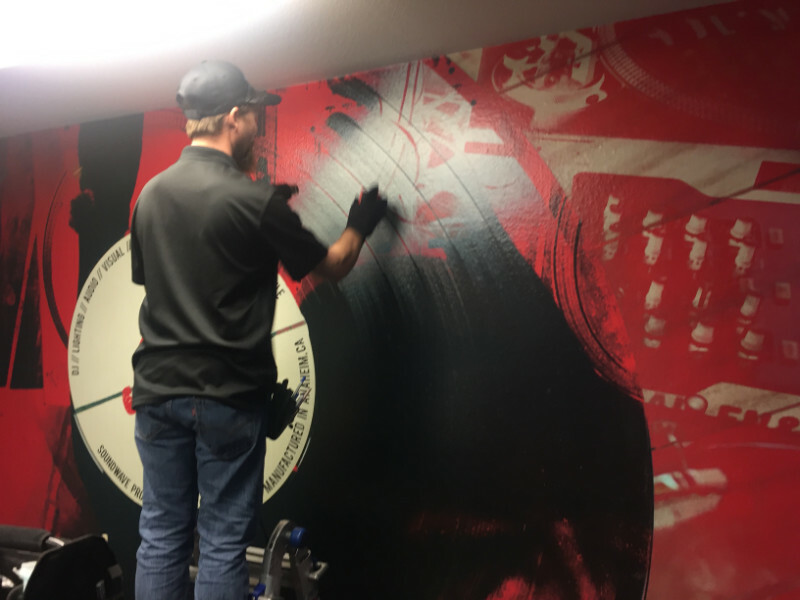 The team was so impressed with the finished product that it said the image looked as though it were painted on the wall. This is high praise, indeed! 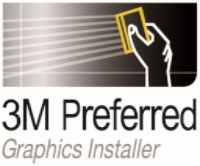 Our installers are 3M Certified! 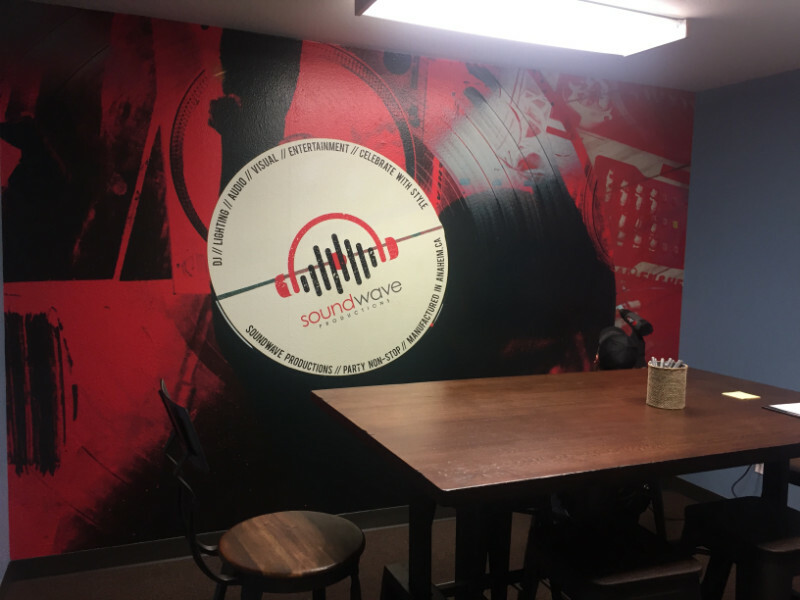 Business owners are always surprised to see how much the mood of their stores, restaurants, or office spaces changes with the addition of a full-wall mural. Rather than painstakingly combining paint colors, fabrics, and decorations to set the tone, the mural does it all with one application. There are no expensive side purchases. Moreover, there is no need for dusting small items that keep getting moved around. In restaurants, in particular, the absence of these decorative touches makes cleanliness so much easier. Murals also eliminate the look of clutter that too many decorative items evoke. Best of all, the wall treatment is inexpensive. You can go as large as you like or stick with something that is smaller. Whole wall coverage may encompass one, two, or all four walls. 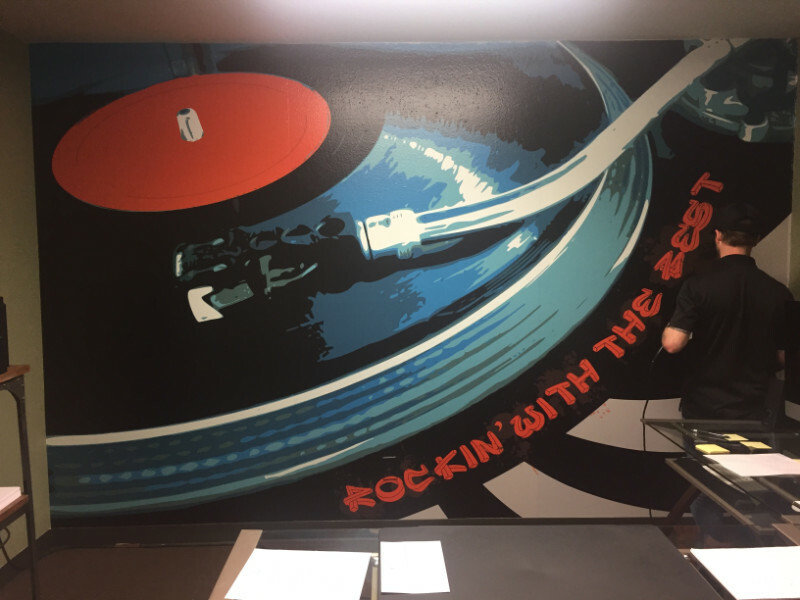 Wall graphics can cover a portion of a wall’s surface or take up a lot of space. Great for offices and conference rooms! 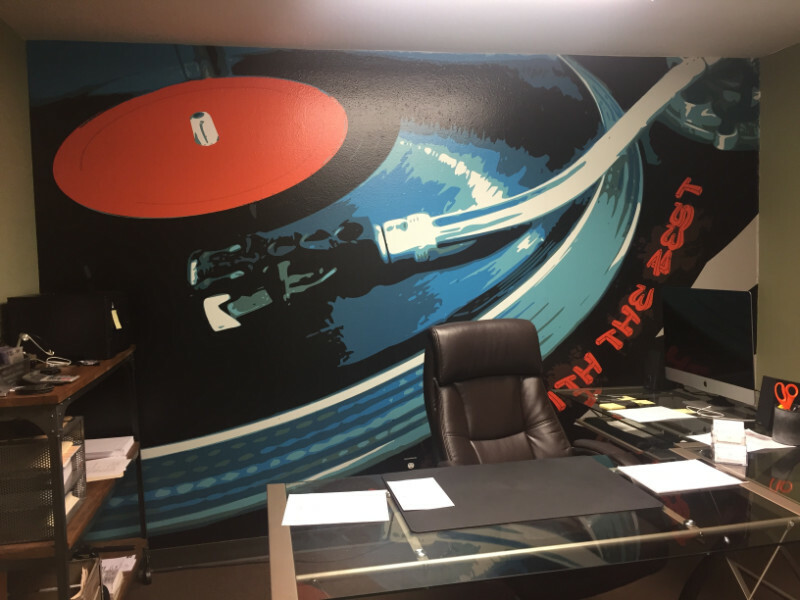 When you order custom wall murals and graphics for office spaces in Orange County, you do more than just beautify an area. You succeed in underscoring the brand message that your company sends with the help of a lobby sign and related markers. Clients pick up on the new atmosphere. It is much easier to generate the buy-in into the message. At the same time, these clients are sure to remember your information. Brand awareness and name recognition come easy when your name and logo become part of the interior décor. Can you envision what your conference room, lobby, kitchen area, or any other space within your office could look like with this kind of wall treatment? If you have a difficult time imagining it, contact our graphic artist! We can show you sketches of the transformation your venue could undergo in just a few short hours.